LED light accessory Heat Sink ø50mmxh30mm/50mm; Design for Spotlight and Downlight 800~1800lm; Rth 4.6~6.3°C/w; Suitable for 5W/8w/10/12w/15w; Self-taping hole or custom mounting holes for Zhaga book 3 and book 11 LED modules; Standard finish - Black anodized. MINGFA carefully selects quality raw materials. Production cost and product quality will be strictly controlled. This enables us to produce led light housing which is more competitive than other products in the industry. It has advantages in internal performance, price, and quality.With a great focus on market demand, MINGFA has introduced domestic and foreign advanced production equipment and technology to manufacture various types of electric equipment, so that customers could enjoy a wide range of selections. Moreover, we have established a scientific quality control system to strictly control product quality. 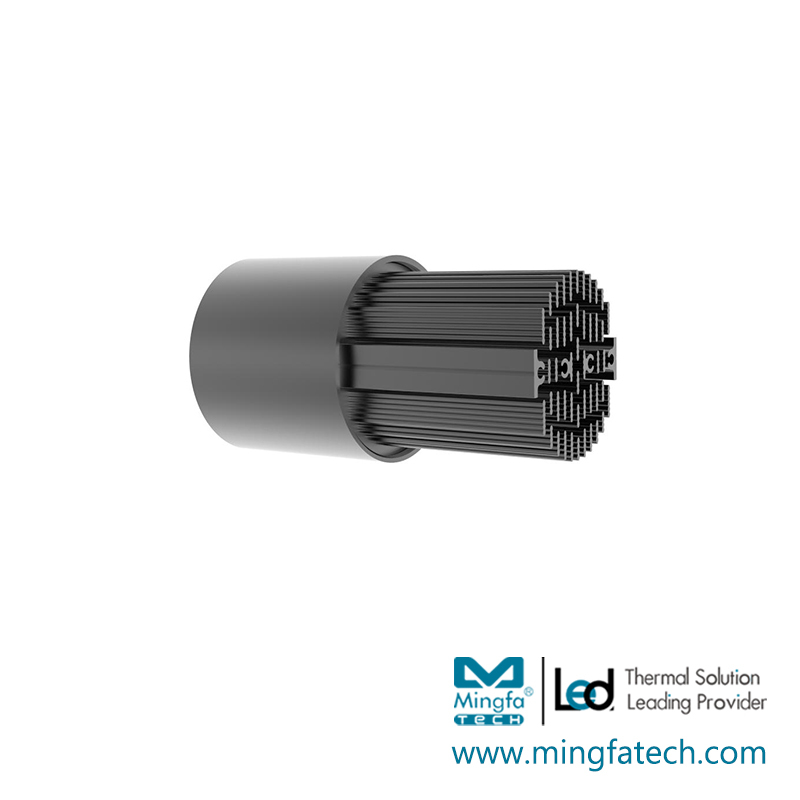 led heat sink are of stable performance, high efficiency, flexibility, and easy installation.led light housing in MINGFA has the following advantages, compared with same kind of products in the market. 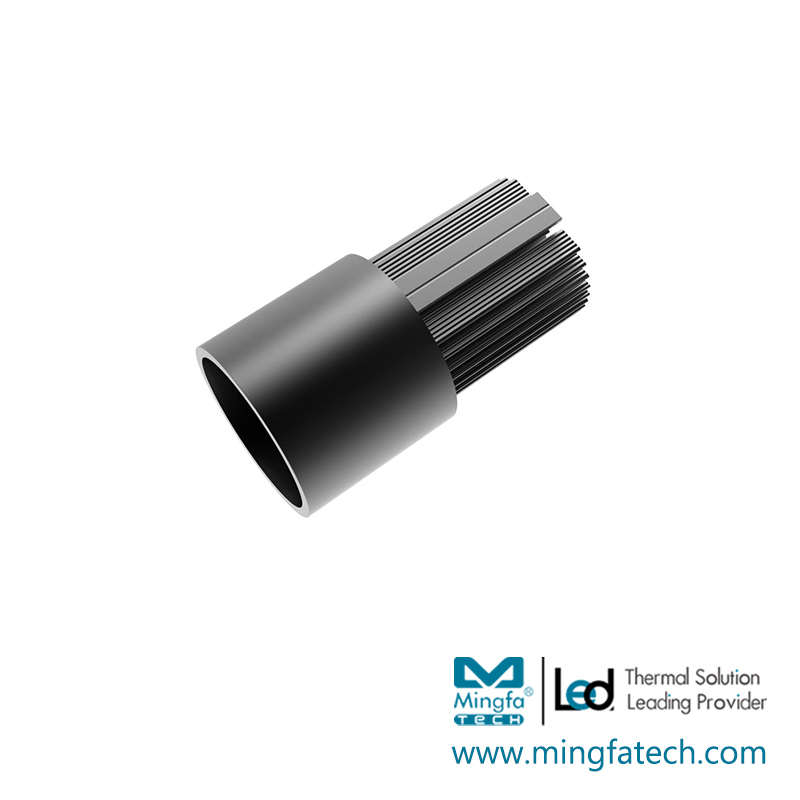 led light housing's application range is specifically as follows.In addition to providing high-quality products, MINGFA also provides effective solutions based on the actual conditions and the needs of different customers.MINGFA produces led heat sink in strict accordance with national and related standards. To effectively guarantee the good quality, we inspect all equipment before shipping. We provide a worry-free buying experience for customers. The product is suitable for Zhaga book 3 and Zhaga book 11 holes. Suitable for COB modules with luminescent surface of 6.0-11.0mm. Suitable for Mini downlight and spotlight. Adapter MR16 LED modules High CRI create more concenrated lighting. The product is suitable for 5-15w power lamps. Compatible with more than 20 COB brands . Covering 85% modules. 1. MingfaTech Manufacturing Limited is widely known to be reliable and professional manufacturer for can light housing. 2. We have a top R&D team to keep improving quality and design for our recessed housing. 3. We have a mutual dream of being an international remodeling recessed light housing manufacturer some day. Inquire now!